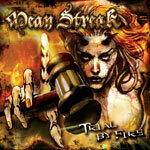 Mean Streak's third album, Trial By Fire began with the noblest intentions and best inspirations. 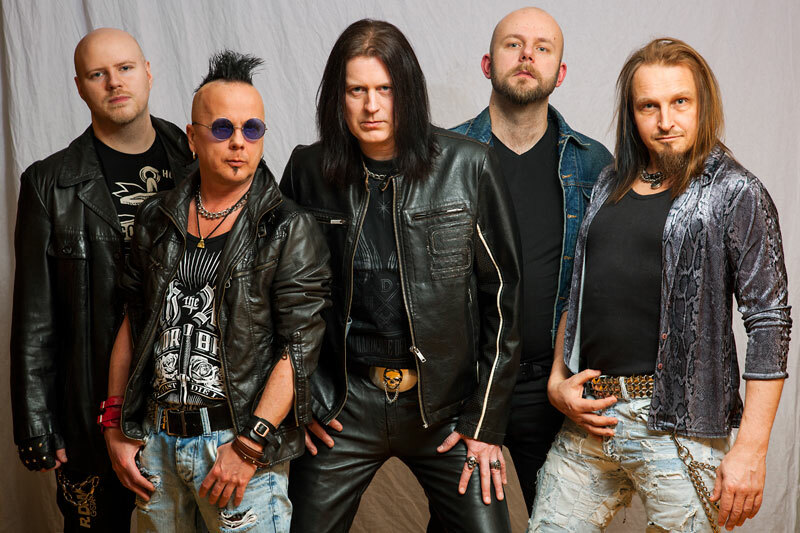 The band wanted to create an epic heavy metal album in the classic tradition inspired by their favorite bands and producers, like Mutt Lange and Bob Rock. While 'epic' must be left to the ears of the listener, Mean Streak has probably produced their best album to date. Much of the album's success comes from how the band chose to record it. The band passed on the modernity of Pro Tools, used natural drums with without any sample replacements or artificial reverbs, and bumped up the breadth and depth of the vocal arrangements. Of course, Mean Streak writes songs with a good melody and rock groove to move the heaviness, and then loads them with twin guitar leads. Of all these things, perhaps the most noticeable are strong vocal arrangements, notable in the backing vocals. The Songs Shine (watch video below), Hangman's Daughter, and Let Love Rain are particularly impressive. The latter song sounds like a Mutt Lange produced Def Leppard song, only heavier (which is probably what the band was seeking). Otherwise, you have some terrific melodic heavy metal across the album. There's speedier numbers in Trial By Fire and the anthem We Are One. Then there's the toe-tapping, fist pumping, groove of Shine On, Thunderbolt, and Bad Blood. Easily some of the best music for a road trip. The weak spot may be Cast Away, the only ballad here and a droll one at that. Then you have Saints Are Falling which never really gets going until the guitar solo in the end. Much of the same could be said for Tunnel Vision, which seems more an exercise in heaviness than anything else. Nevertheless, when considered in the context of the whole, neither song diminishes the quality of the album. In the end, with Trial By Fire, Mean Streak accomplished their goal of creating a proper melodic heavy metal album in the best tradition. Easily recommended. Trial By Fire, Mean Streak accomplished their goal of creating a proper melodic heavy metal album in the best tradition. Easily recommended.